Sometimes when people meet my daughter, Cadence, they say something like, “God knew you were special giving you a child like her.” Cadence is eleven, profoundly Autistic, essentially non-verbal, and labeled with Intellectual Disability (Mental Retardation). I smile because they mean well, but I know better. I’m as ordinary as can be. Prone to come unglued, eat too much chocolate, a recovering control freak. So human. The truth is, I need HER. Special needs in a family does something. It either ravages or redeems. God HAS redeemed and granted us a wonderful gift-child. Cadence has changed the rhythm of our lives. Taught us truth. Showed us what’s important. I’ve learned more about God’s grace from her than any sermon I’ve heard. She is often MY teacher. Sunday night she had her eyes on the stage and microphone before the church service began. She wanted to sing, but I distracted her and got her seated. She loved the praise team and flapped her “happy hands”. Her dad started preaching and she jumped up and headed for the stage. I literally could not stop her. She was on mission. She dragged me behind her like a toddler walking a St. Bernard. She was determined to sing. 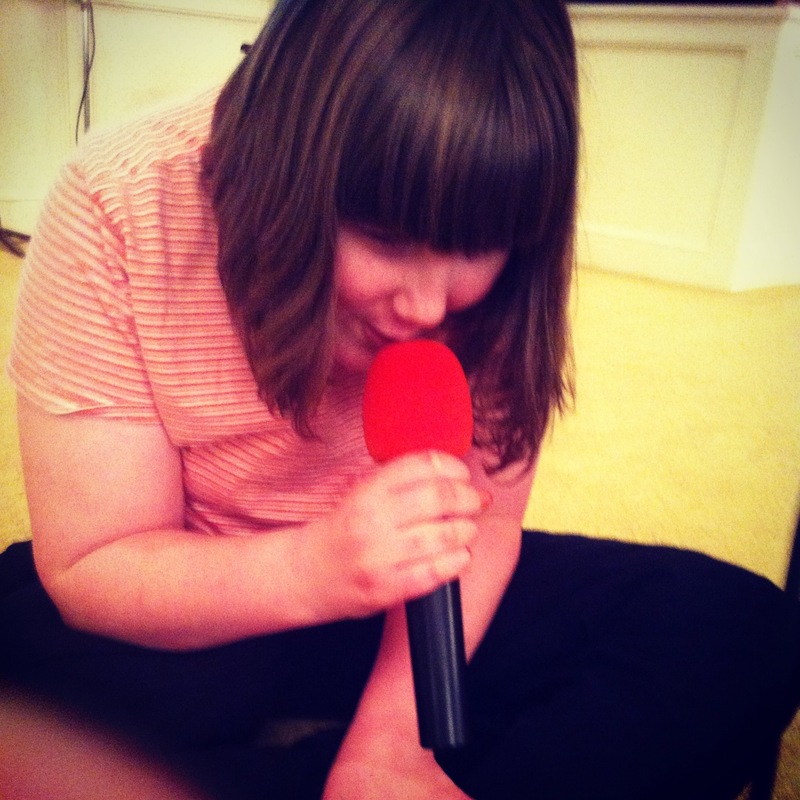 Her Daddy (bless him) stopped preaching and handed her a microphone. What came out of her mouth was in the language of “autism”. Nobody cou ld speak it or understand it. But God did. She made her joyful noise, everyone clapped. She sat down still and quiet for the rest of the service. She taught all of us something important. If God puts something in your heart, then do it. Don’t let anyone stop you. Praise Him however you can. It doesn’t matter what anyone else thinks. If we could only be so brave. Learn from Cadence. Sing on! Complete the mission. Don’t be distracted. It doesn’t matter if you are understood or not. You only need an audience of One. And you have it. 1 Shout out praises to the Lord, all the earth! 2 Worship the Lord with joy! Enter his presence with joyful singing!